Posted by Carole Lynne in All About Spirit, Feeling Better, Love, mediumship, Spirit Communication. It took many years of communication before I was able to settle down and feel secure about spirit communication. “How is this possible?” I would ask myself. The miracle of communication with those who have passed on seemed too good to be true. It was hard for me to believe, even though in reading after reading, clients recognized those spirits who communicated. Finally a day came for me when I just KNEW that this communication was really happening and that we DO survive death. At a certain point, even I who consider myself to be level headed and a bit skeptical, had to admit that there was no way for me to be getting all this information about those who had passed on, unless I was REALLY in communication with those in spirit. Even though I had been a medium for awhile, it still took me time to embrace this miracle and realize that in fact, it is NOT a miracle, but a normal process. We survive death and therefore we can continue to communicate with our loved ones. 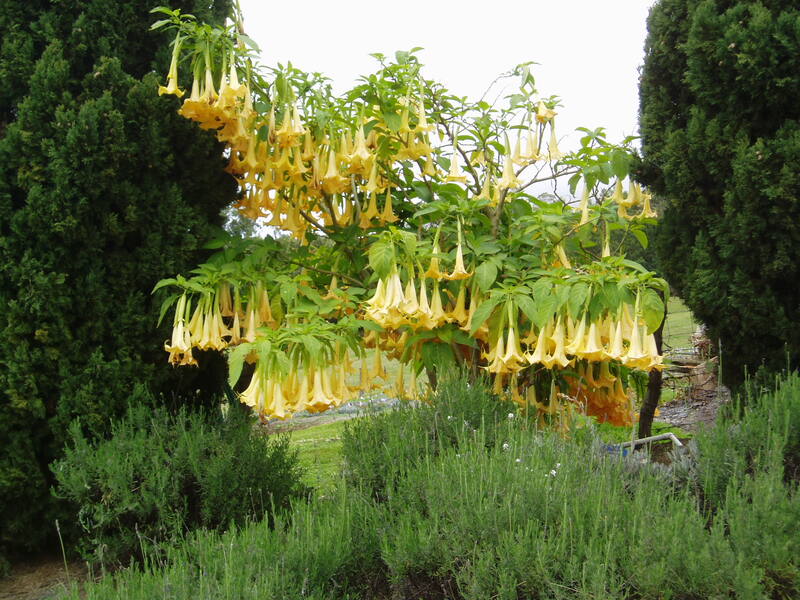 This is as natural as flowers blooming. Posted by Carole Lynne in All About Spirit, Author Carole Lynne, mediumship, Spirit Communication, Uncategorized. In my role as a psychic medium I talk to people every day who want a reading. Depending on a person’s experience, cultural background and education regarding readings, the expectations of people are all over the place. It is clear that the general public needs to understand that there are many kinds of readings available, and beyond that must also understand that readers each have their own style. It is also clear that those of us who give readings must make sure before booking an appointment, that the prospective client is informed about what to expect in the reading. As readers we have extremely different perspectives on what a reading should be. This makes it extremely confusing for those who seek readings. And yet, it would be impossible to standardize our readings as one thing we as readers can most likely agree on is that Spirit works with us in different ways. We are not able to mass produce our readings and thank the Lord, that we cannot. A good reading is mystical and the reader is able to bring through messages from loved ones, spiritual guidance and inspiration. This cannot be standardized. Although education for readers is extremely important as we can learn how to best use the spiritual gifts we have been given, at some point we will not individually be able to follow all the rules and guidelines we have learned from our human teachers, as ultimately the Spirit Within each reader will be the most important teacher. So what is the person who wants to get a reading to do? How can people know what kind of reading to get and which reader to choose? After answering questions about readings on the phone for many years, I said to myself one day “You know Carole, what you need to do is write a small book for the people who want to understand more about readings. 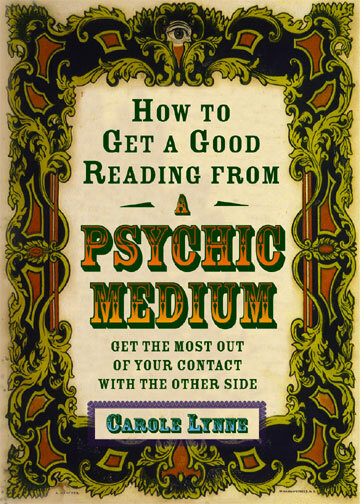 And so I wrote “How to Get a Good Reading From a Psychic Medium.” I ask people who are confused about readings, to read this book and then call me back with any additional questions. I also ask those who are going to have a reading with me, to read the book before hand as they will then come into our readings as an oriented client, rather than a disoriented client. I am likely to do a much better job with a client who knows what is going on. Posted by Carole Lynne in All About Spirit, Author Carole Lynne, mediumship, Spiritual Awakening, Spiritualism Religion, Uncategorized. As a psychic medium, I do many readings for people where I communicate with the spirits who are from many different cultures and have spoken many different languages. When I first began to do readings, I said to a client “Your brother in spirit says that…….” and then I continued to repeat what I heard to my client. I felt I was hearing the exact words of the spirit. Over the years I have done many readings where the spirits who have come through, did not speak English when they were living. Yes, I hear what they are saying in English. While names and short phrases may have come to me in a language I did not understand, but my client could translate, for the most part the messages from those who have come through who never spoke English, have come to me in English. This experience has taught me that those in spirit are sending me information and messages in what I choose to call “energetic thought forms” and through the grace of the Infinite Spirit, these forms reach me through a spiritual telepathy, which the higher part of my consciousness is then able to understand in English. The thought is then “delivered” to my conscious mind in English, so that I can deliver the message to my client from a loved one in spirit. I know that as a community of mediums, we all have different and varied experiences. Some mediums truly feel that they are hearing the exact words of spirit, whereas I feel I receive the words in thought forms, and then they are expressed in human language. For me, those in spirit are now in a different spiritual form and they are not speaking to me or each other in words, but with a kind of spiritual telepathy that is far beyond words and language as we know it. As a new medium, it felt to me as if the spirits I communicated with were like duplicates of human beings. But the more experience I have as a medium, the more I am under the impression that while the spirits of those who communicate are individual spirits, they are now in a different form as they have evolved beyond physical life. There are many interesting questions about how spirit communicates with us. I would love to hear your thoughts on how spirit communicates. Please feel free to comment and share with all of us. When clients make deals like this with the spirits of their loved ones, they become obsessively focused on getting ONE particular piece of information from the medium and are often unable to hear all the good evidence that the medium is bringing. Ultimately the reading becomes a very tense experience for both the client and the medium, and the reading may not go as well as it could have gone. While sometimes the VERY piece of information will come through in a reading, it can also be that other information will come through that is just as convincing. But the client who becomes insistent on receiving one particular piece of information is often dissappointed. I advise anyone who is going to have a reading with a medium to be open to the evidence that comes through. A good medium will bring you many pieces of evidence that you can recognize as true. You may also get some evidence that you cannot identify as true at the moment, but that you will come to understand over time. And then, while many mediums do not like me to say this: we do make mistakes just as people in every other profession do. In our case, we are communicating with a whole other dimension, and so there are bound to be some images we misinterpret. Choose a medium who is well-educated and who has a good track record. Do not choose a medium because he or she is instantly available or charges the lowest fee you have ever heard. Do your research and choose a medium you feel good about. Then when you have a reading, LET the medium read for you. Listen to what is said. While it is totally understanding that you may want a certain piece of information, remember that other evidence may come through that is just as important and possibly even more meaningful. Posted by Carole Lynne in All About Spirit, Spiritual Education, Uncategorized, Your Questions About Spirit. Many ask me if I think that anyone can become a medium, and my answer is the same as it would be if you asked me “can anyone be a pilot or a pianist or a skate boarder: you have to take the time to explore your possible talent. Many who are mediums were never trying to become mediums. The spiritual gift of mediumship arrived naturally. However, there are some mediums who did not realize that they had the potential before sitting in Spiritualist circles or attending regularly scheduled mediumship classes. If you feel inspired to bring messages from those who have passed on, to their loved ones who are still living in the physical body, then study mediumship and find out if you have the gift. But before you make such a decision, remember that being a medium is an incredible responsiblity, and not an activity to be taken lightly. If you discover you are a medium you may find that you will be changing your whole life. You may give up the kind of work you do now to do readings, and you will also have to “educate” your loved ones about your new interest. When we discover that we are mediums, for many of us, life is never the same. 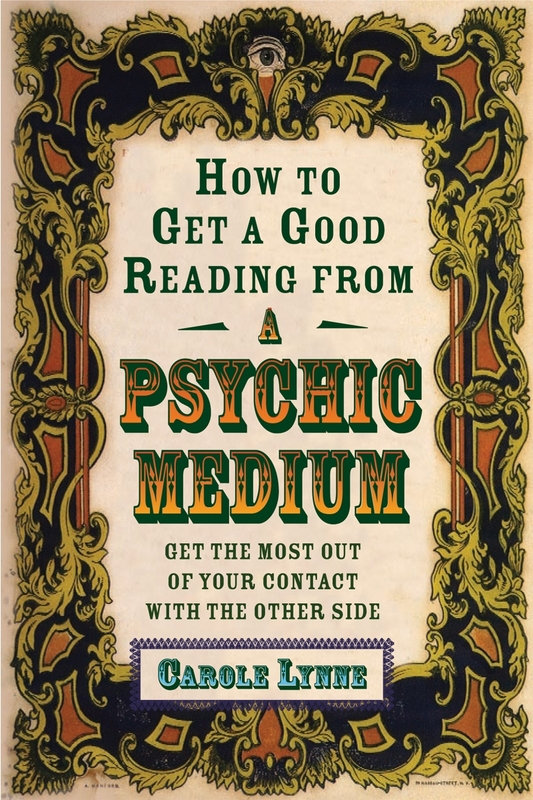 Should you pursue mediumship and find out that you are not a medium, do not feel bad about it. Not everyone is a medium. Always remember that ANY kind of work is spiritual work if you bring the right intentions to it. The worst thing any one can do is to insist “I am a medium.” When people do this, the public will be dealing with many readers who are not up to standard. And those of us who are mediums, must always be willing to stop doing mediumship if our gift is fading. Some of us will stop because of the aging process and others may stop because they become burned out, having done too many readings. Being a medium is extremely hard and often stressful work. It is not the glamorous job it can sometimes appear to be. If you are a real medium, there is a point where you will be sure of it, trust your gift and you will be ready to serve others. If you are not a medium, remember that being a medium is only one of many needed spiritual ways of working. Posted by Carole Lynne in All About Spirit, Feeling Better, practical action, Spiritual Priority, spirituality in action, Uncategorized, Worries. Life often brings situations that are difficult to cope with. It is so easy to be distracted from the things we need to focus on in our lives. When suddenly hit with a problem: be it yours or someone you love, it is all too easy to ditch our own plans to exercise, eat the proper foods and meditate. This is a shame, because when we have to cope with problems we NEED to be in balance. Doing the things we need to do for our health becomes even more important. When problems strike suddenly, be like the rocks on the shore. Let the waves wash over you. Absorb the energy of the ocean and use this power for positive action.